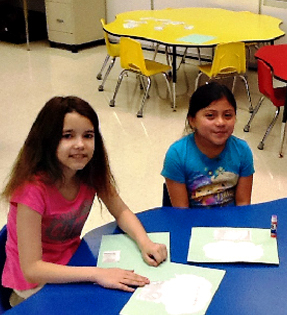 Jennings County School Corporation provides direct assistance to students whose native language is other than English. Our goal is to assist in bridging the language barrier in order to allow students to successfully communicate and to master the skills taught at each grade level. JCSC provides assistance to these students until they have the ability to meet Indiana’s academic standards. Individuals who need assistance or who may have questions regarding our program may contact the Jennings County Administration Office at (812) 346.4483 ext. 1, or stop by the office at 34 Main Street, North Vernon, Indiana. What Is the Definition of an English Learner (EL)? Title III is a part of the Elementary and Secondary Education Act of 1965 (ESEA), as amended by the Every Student Succeeds Act of 2015 (ESSA). The purpose of Title III is to help ensure that English learners (ELs) attain English language proficiency and meet state academic standards.